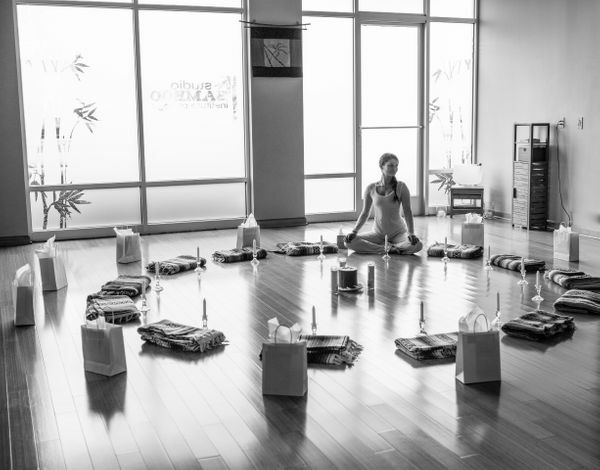 200-hour yoga teacher training starts in July! Have you ever thought of becoming a yoga instructor? Share the gift of yoga with the world! Studio Bamboo Institute of Yoga is proud to offer a Yoga Alliance certified 200-Hour Teacher Training program based out of Chesapeake and Virginia Beach, Virginia. Studio Bamboo Institute of Yoga's teacher training programs provide a nurturing and explorative educational experience for all trainees. At the core of our mission is support trainees so that they many grow into their own unique nature of yoga instructor. Studio Bamboo Institute of Yoga teacher training instructional staff is both accessible and diverse, representing a wide variety of backgrounds, certifications and experience. Our Program Director and studio owner, Ann Richardson Stevens offers a wealth of experience and wisdom as an Experienced Registered Yoga Teacher at the 500-hour level (E-RYT, 500) with over 1,000 teaching hours. Ann is also a Certified Yoga Therapist (CYT), holds advanced certificates in Adaptive Yoga and is certified at the advanced level of over 1,000 hours with the Hard and Soft Yoga Institute. Ann also founded both the 200 and 300-hour Registered Yoga Schools at Studio Bamboo Institute of Yoga. Lacy Wharton, the Director of Education at Studio Bamboo also provides a wealth of knowledge as the teacher training Program Facilitator. Lacy is an Experienced Registered Yoga Teacher at the 200-hour level (E-RYT, 200) , with over 1,000 teaching hours. Lacy has both a gift and passion for understanding the anatomy and physiology of the body, and will complete her education as a certified Physical Therapist Assistant in 2018. Whether you intend on teaching after graduation or not, a teacher training program is an immersive way to deepen both your practice and your understanding of yoga as a whole. Our upcoming 200-hour teacher training program begins July 21, 2017, through January 2018. Learn more about the Studio Bamboo teacher training application process, tuition and more via the button below.